Known for its unusual color and laxative properties, the dragon fruit grows in Central and South America, as well as some countries in Southeast Asia. 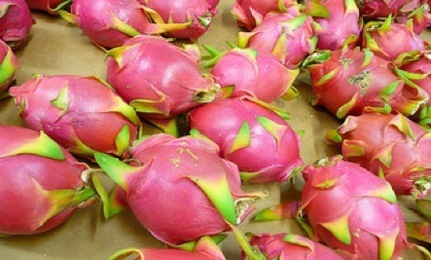 Dragon fruits have a bright pink skin and sweet, creamy white flesh full of small black seeds. 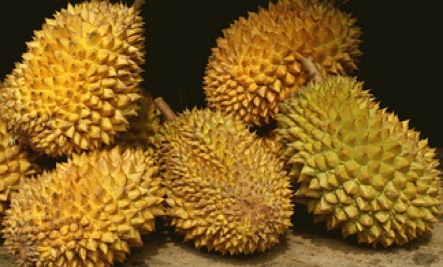 The durian is widely referred to as the “king of fruits,” but try to open one and you’ll be more likely to call it the “booby trap of fruits.” Once you’ve cracked through its spiky shell, the durian’s strange smell might make you wave your white flag. If you do decide to brave the spikes and the scent, you may be pleased to find that the fruit’s flesh is creamy and tastes of almonds. 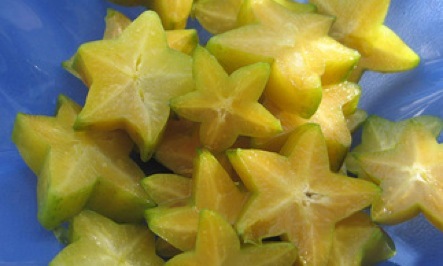 Always a crowd-pleaser (due to the fact that cross-sections of the fruit resemble stars), the starfruit grows in tropical climates and has a unique flavor that has been described as a papaya/orange/grapefruit mix. 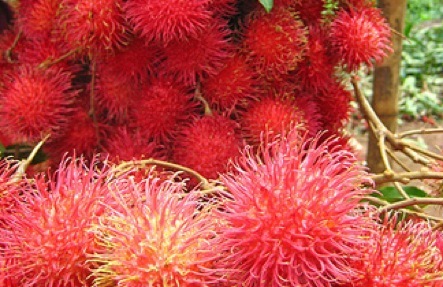 These pom-pom like fruits are native to Asia, where they are popular garden fruits. Their flesh is a translucent white or pink and tastes sweet. Each rambutan also contains a single soft, crunchy seed, which is mildly poisonous when raw (but is supposedly a-okay when cooked). 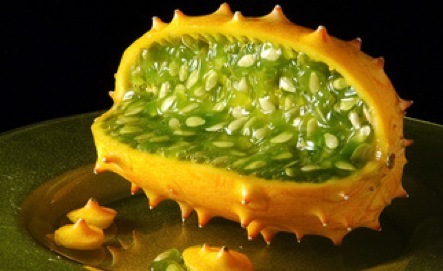 The African horned melon is native to–you guessed it–Africa, though it is currently grown in some California orchards as well. The fruit grows on a vine. The flesh has been described as tasting of banana, cucumber, and lemon; some people also eat the rind, which is rich in vitamin C and fiber. 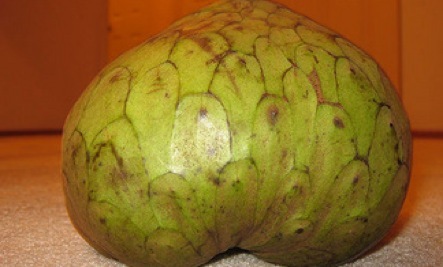 Closely related to the cherimoya and also known as “bull’s heart,” the custard apple has long been used for its medicinal properties. The sweet-tasting fruit is not the only useful part of this plant–the leaves can be used to make stains or dyes and the bark and the fruit can be used for healing purposes. 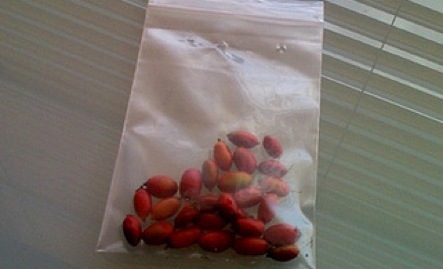 The so-called “miracle fruit” may look normal, but it has one very unusual property: it has the ability to make sour foods taste sweet. If you chew one miracle berry before a meal, you’ll notice that vinegar begins to taste as sweet as apple cider, and lemons become candy-like. This seemingly drug-like effect has given rise to “flavor-tripping parties,” in which groups of people chew miracle fruit and then marvel at the sweet flavors of “sour” foods. 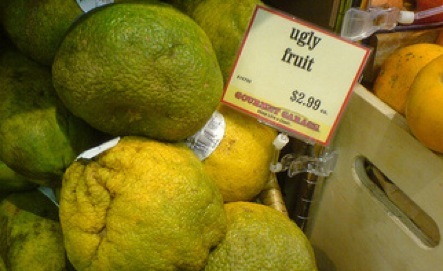 The aptly (if somewhat cruelly) named ugly (or “ugli”) fruit is a tangelo of Jamaican origin. It is available in grocery stores worldwide and has a sweet, citrusy flavor. Grown worldwide and resembling a misshapen artichoke, the cherimoya actually has a sweet/sour taste that has been compared to a pineapple/banana/strawberry mix. 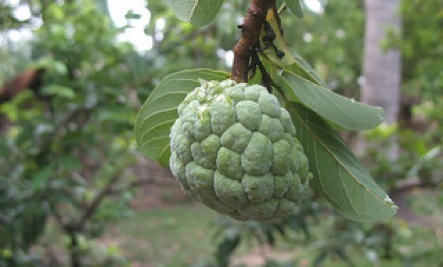 Its seeds are poisonous when crushed and its bark can induce paralysis when injected, so you may find the cherimoya to be more trouble than its unique flavor is worth. 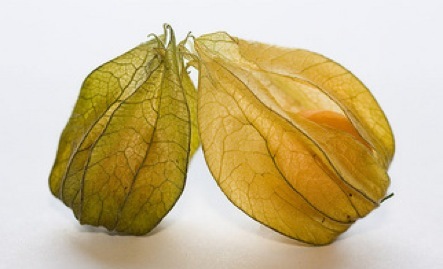 The physalis is more or less a gooseberry that grows enclosed in a long, papery husk. Like tomatoes and some berries, the physalis has a tangy, refreshing flavor and may be used in salads or to make jams and jellies. Plus, it’s pretty.